Maximizing value isn’t only about the headline price. It’s about getting the deal right, using your leverage when you have it, and knowing where you stand in the deal at all times. Sellers lose more money at the Term Sheet stage than in any other part of the process. Buyers know the ins and outs. They know how to best use the Term Sheet and the process that surrounds it to make their offers look better than they might end up being. For sellers, this is typically the least understood part of the company sale process. This experience gap is unfortunate for sellers because it results in not only lost value but at times the loss of the entire deal; a loss that comes after a great deal of financial and emotional investment. For sellers to truly maximize the value of their business in a sale, they must look beyond the headline number that usually appears in the first paragraph of the Term Sheet and understand the other key value drivers in the rest of the document. If the headline number was the only key term, Term Sheet’s would be one paragraph long. 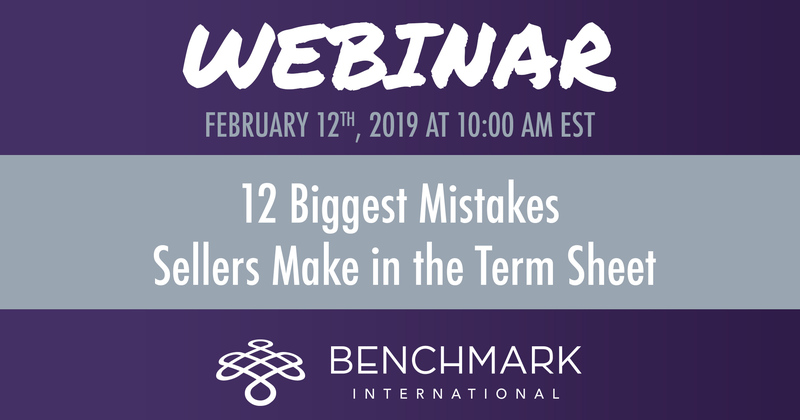 This quick introduction will concentrate on the 12 most common sell-side errors in the Term Sheet process.